Warburton VICTORIA map. 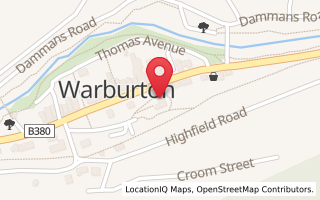 Find your way to and around Warburton using this Google Map. Looking how to get to Mt Donna Buang for snow? Be careful using your GPS, Nav Man, Sensis where is BECAUSE they often direct you via Don Road and that way is OFTEN blocked over winter - snow gates have closed road. To get to My Donna Buang from Melbourne, you need to stay on the Warburton Highway and drive through Warburton. TIP: Before commencing drives from Warburton you should ensure a full tank of gas for your vehicle. Many of the drives are beautiful, scenic and easily acheived on less than a tank of gas - but in the middle of the forests there are no petrol stations.